If there's one line you take away from Butch Cassidy and the Sundance Kid, it's Paul Newman's ubiquitous "Who are those guys?" Newman repeats it over and over again, in reference to his pursuers, and usually in exasperation. 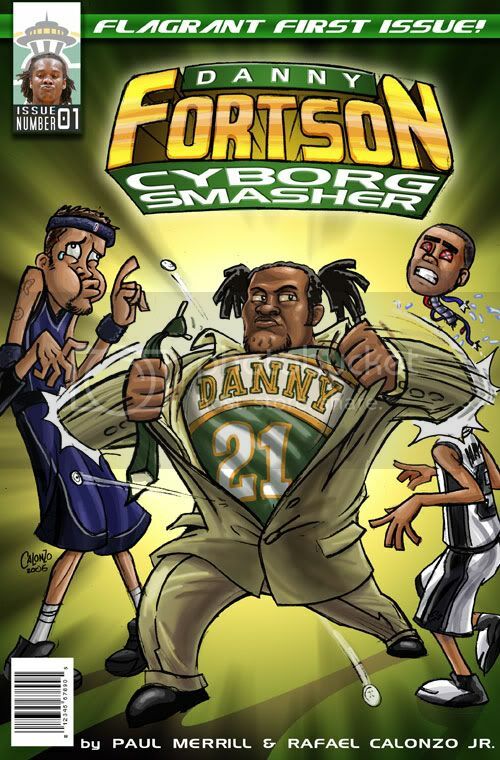 I have a feeling the Spurs feel that way about the Sonics this series. Far from a cakewalk, Seattle has posed a formidable challenge to San Antonio, both talent-wise and physically. 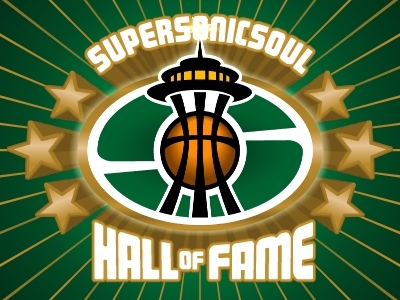 From Danny Fortson's hard fouls to Antonio Daniels offensive skills, the Sonics have demonstrated they are - while not the equal of the Spurs - at least in the same neighborhood. In doing so, they've given Sonic fans reason to love their team. Damien Wilkins' brilliant game 4, Luke Ridnour's same, AD's consistent play, the courage of Ray Allen, the improvement of Nick Collison, Jerome James' 7-for-7 game 3, great memories every single one. Sadly, the euphoria we've been feeling may end tonight. As Ray Allen mentioned in the Times today, this could be the last home game any of these Sonics play in Seattle. After all, a win only guarantees a return trip to Texas, where as Fortson said, "I'm sick of that Riverwalk." What can we look for tonight? The Sonics will inevitably jump out to an early lead, buoyed by an enthusiastic crowd and more than a tablespoon of desperation. The key as in all of the games this series, will be Seattle's ability to free Ray Allen from Bruce Bowen. If the Sonics can find a way to get Allen some open looks early, I have a feeling he could go for 40 points tonight. After a crushing defeat on Tuesday, I predict Seattle will respond tonight. Vegas says Spurs by 5 1/2. I say Sonics 108 - Spurs 103.